Happy National Tequila Day! I love this one, and you really do taste the Tequila. 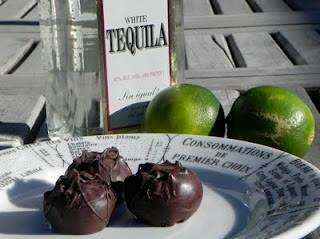 I sometimes roll Tequila Truffles (the ganache part) in cocoa....or dip them in dark chocolate and sprinkle with course sea salt. Either way works.